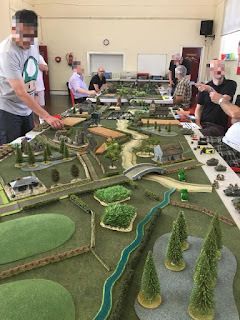 A couple of the scenarios in the Berlin campaign that our wargame group gamed some time ago needed some squads of "elderly policemen", many of whom had to be armed with just handguns. 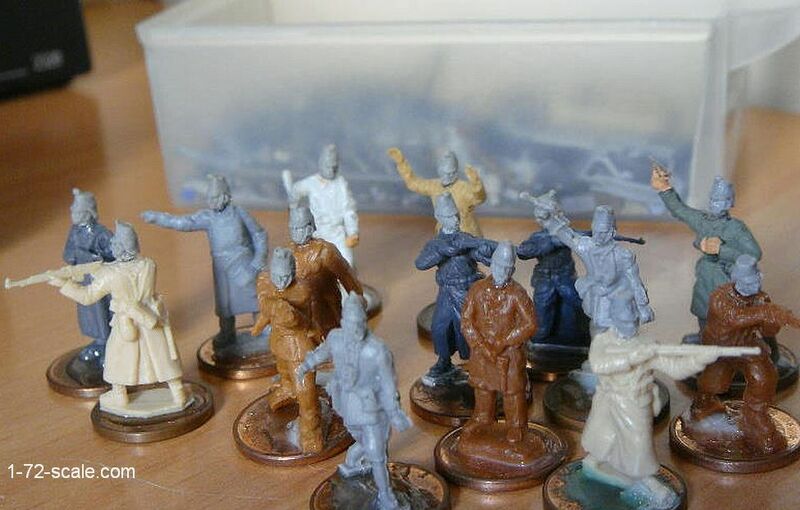 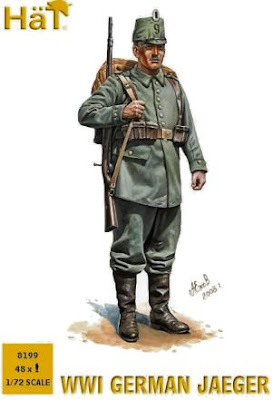 These are figures from various sets of Germans - Revell, Airfix, Caesar, HaT, and even some of Orion's sets of cops-n-robbers and gave them heads with shakos taken from the HaT Industrie 1/72 scale WWI German Jaegers. 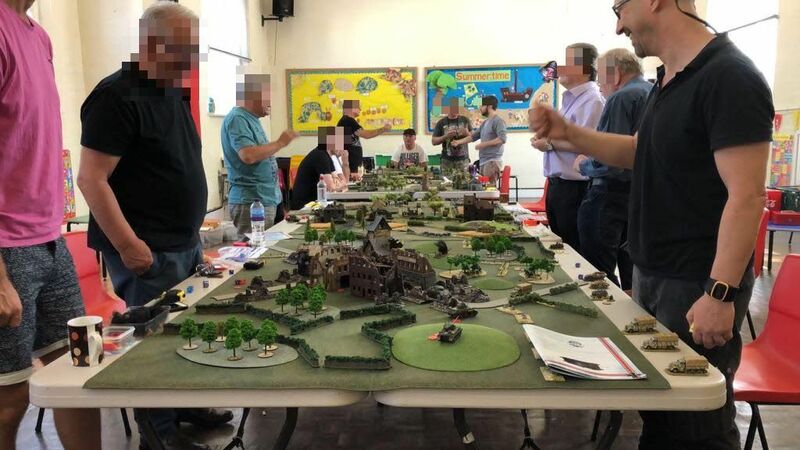 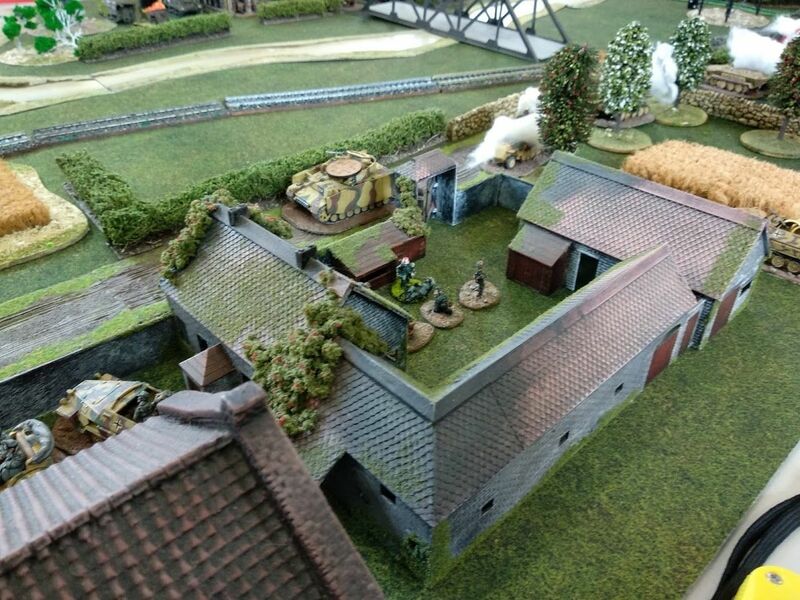 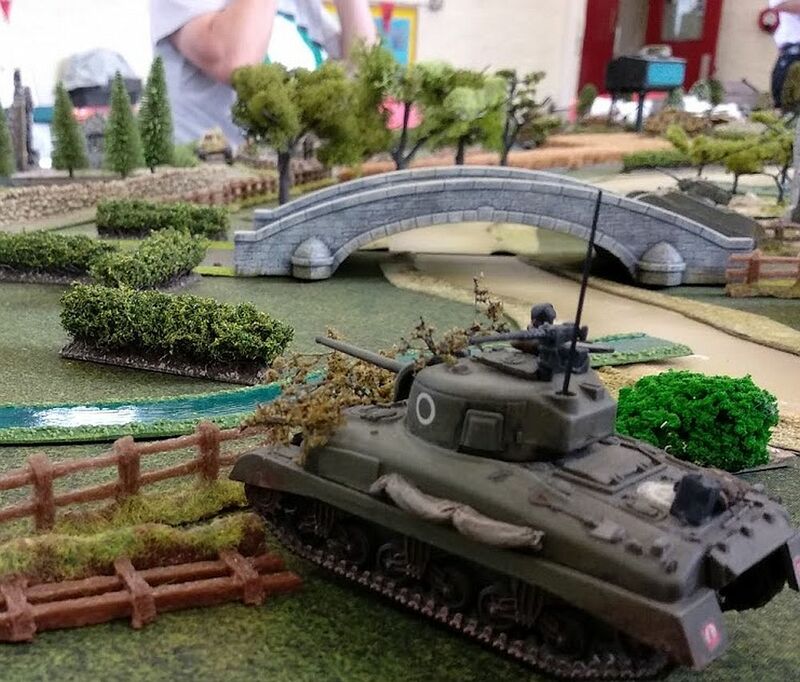 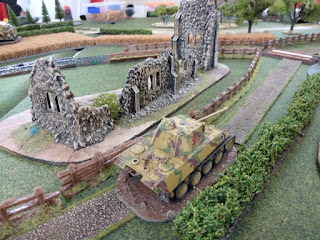 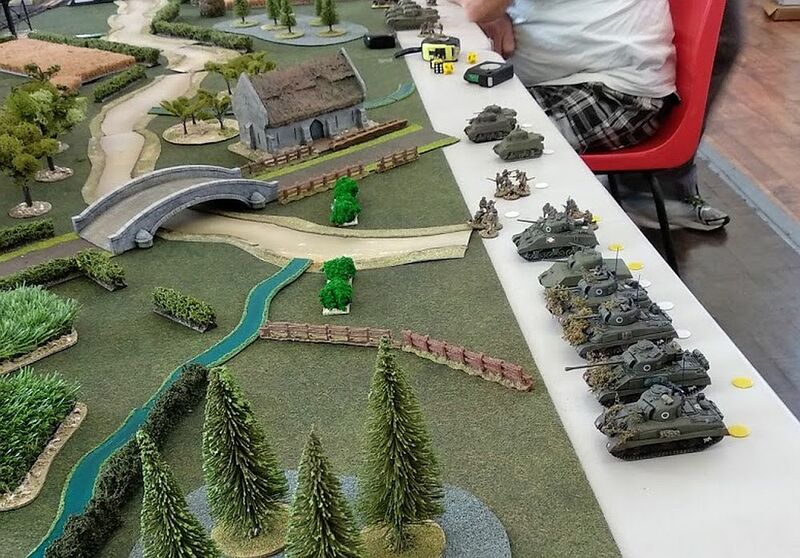 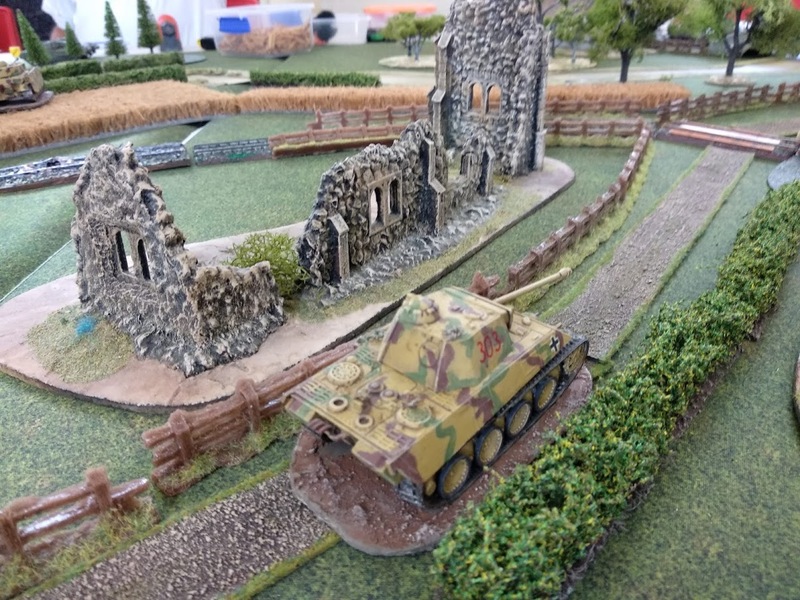 Back in the Summer I was in my old town of Winton in Manchester and I got the chance to game in the very same church hall where I used to wargame as a kid with my little plastic Airfix soldiers and tanks. 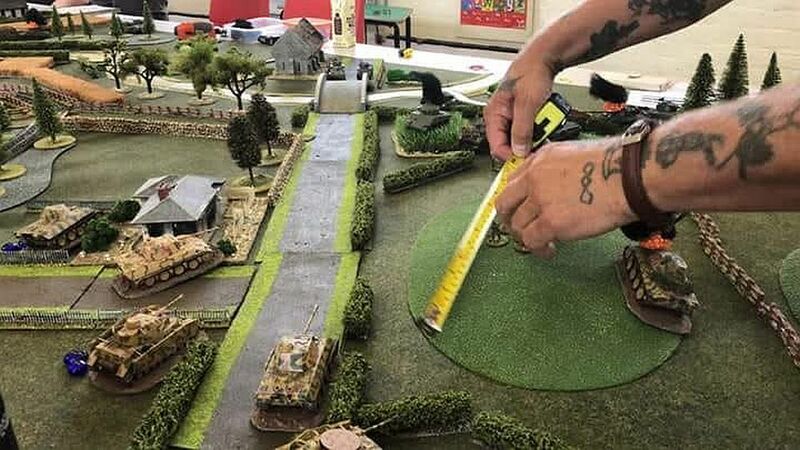 Back then the group was called the "Winton Warriors", and every week, with other kids my age, historically incorrect battles would be fought out with Tigers and Panthers against Centurion and Patton tanks, and other similar aberrations, but we loved it. 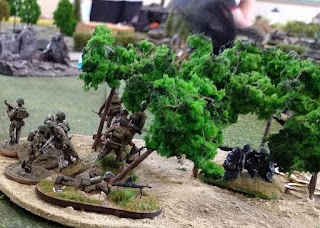 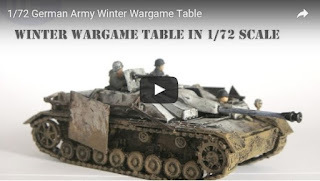 At the club I'd marvel at the lovingly painted armies I'd see on the other tables there and the much more historically correct games being played by the older gamers who tolerated us youngsters and our plastic battles. I've not been back to that church hall since the mid 70s, so just actually going back inside that very place after so many years made me feel nostalgic, to say the very least - nearly even brought a little tear to my old worldly eyes. 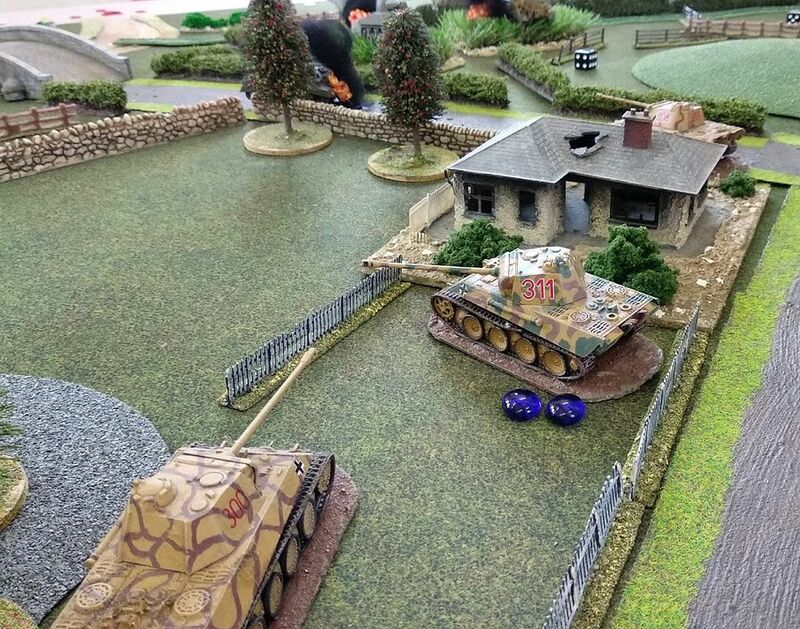 The fact that I also actually got to have a game there 40 years later, gave the nostalgia even more significance. And I had a great time, superb table, good friendly welcoming company, and a big game in my favourite scale. 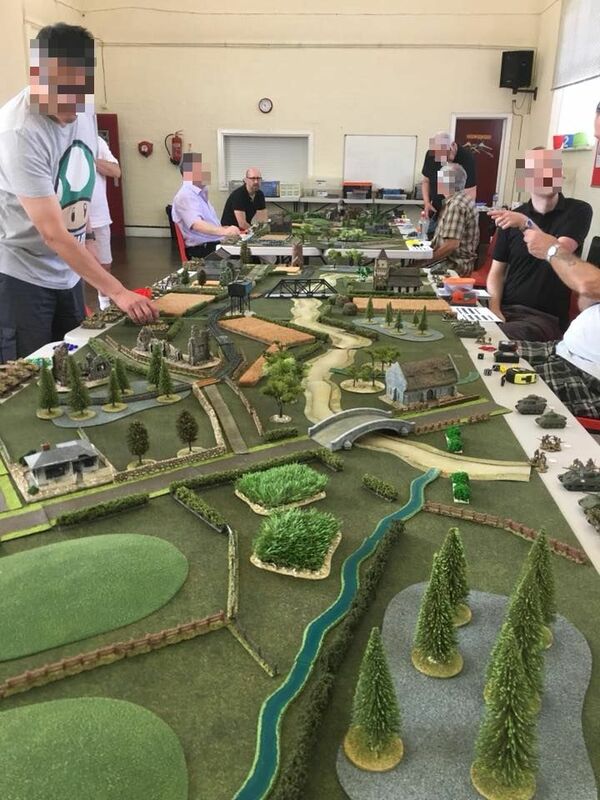 Thanks to the MAWS lads for letting me join in on the day, I got thoroughly hammered during the game, but enjoyably so, and met some great blokes and made some new wargaming friends. 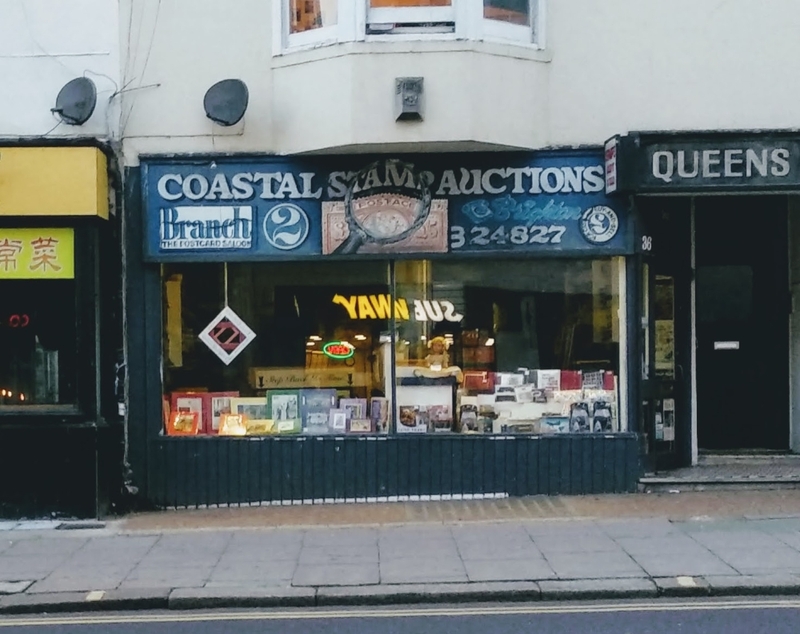 A quick post about a recent trip to Brighton, which apart from being a great place to visit, has a quaint little shop called "Coastal Stamp Auctions". 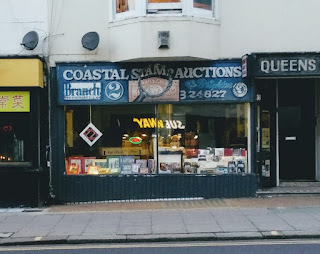 On every visit to Brighton, I always come our of here with some little treasure. 2 x die-cast Bedford OB Utility buses. 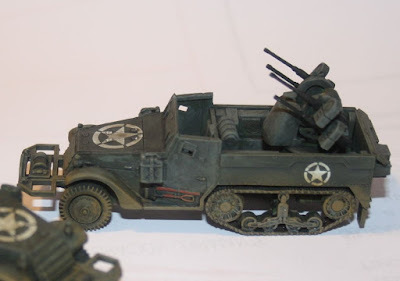 I believe this model can be used WWII era (although I could be wrong - and often am) but whatever the case I have a cunning plan in my head for both of them in wartime use. I don't know what vehicle this is even based on, maybe just an invention by Matchbox but who cares, it looks the business and so I also have another cunning plan for this little gem in modern / near future / post-apoc scenarios. 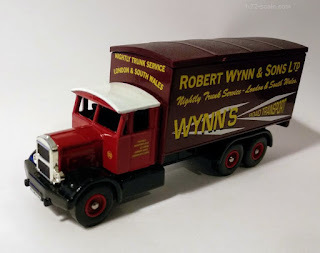 I would have bought up the shop, but had to control myself and was content to just get one more thing, this Lledo Scammell. 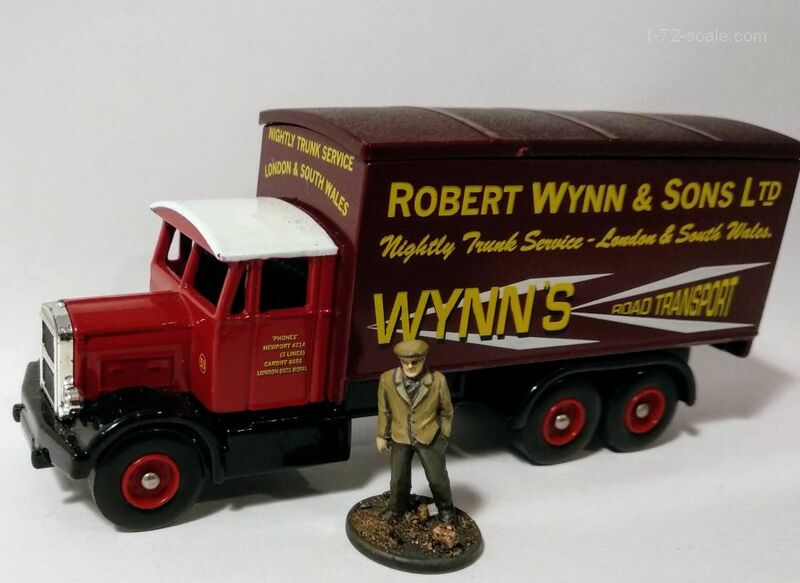 It looks roughly 1/72 scale (see figure comparison below), and scouring the internet I found it to be a Scammell "Rigid" 6 x wheeler from the late 1930s (oh dear, more of those cunning WWII era plans start to form in my head). 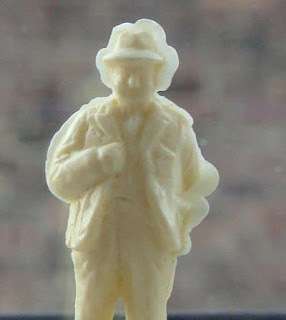 And finally later that very same day, just as I was opening the car door, I spied this little fella all alone and abandoned in the gutter next to the car wheel ! 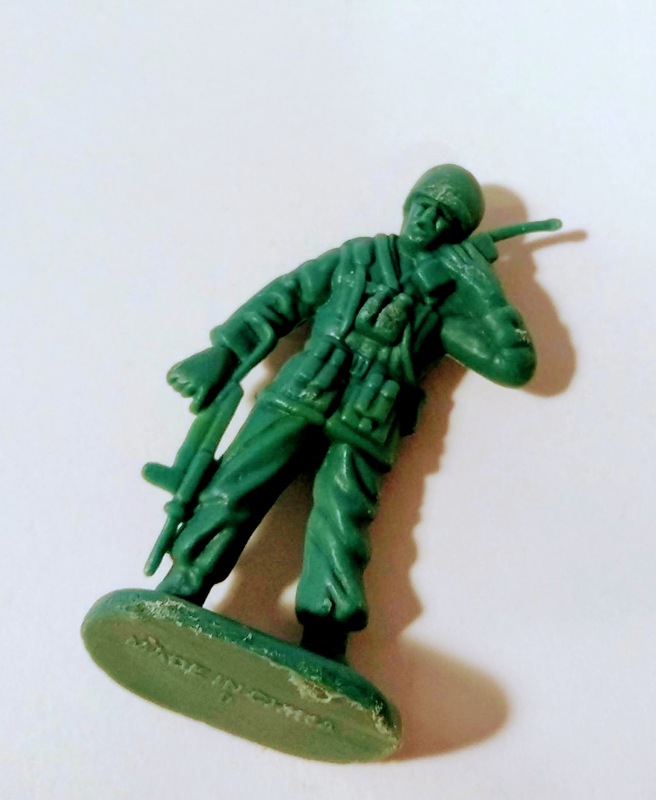 I just couldn't leave him there, so he came home with me. 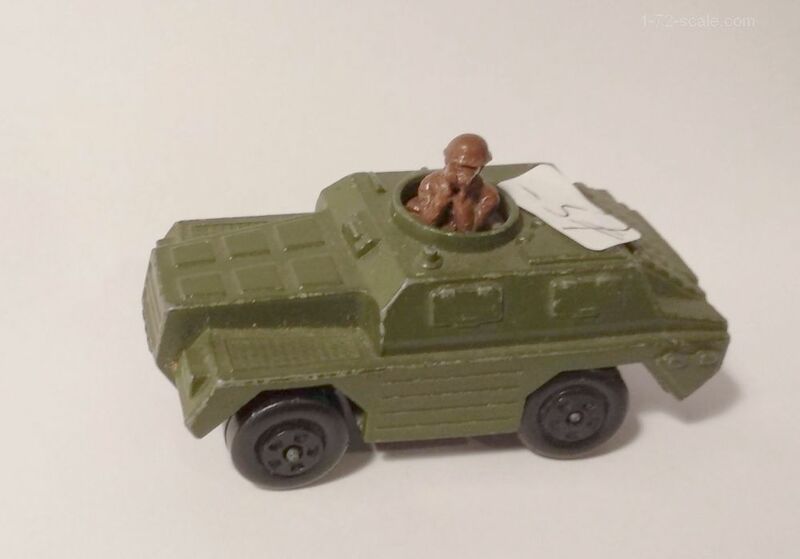 Not a bad 1/32 copy actually of a Matchbox US Infantry figure. 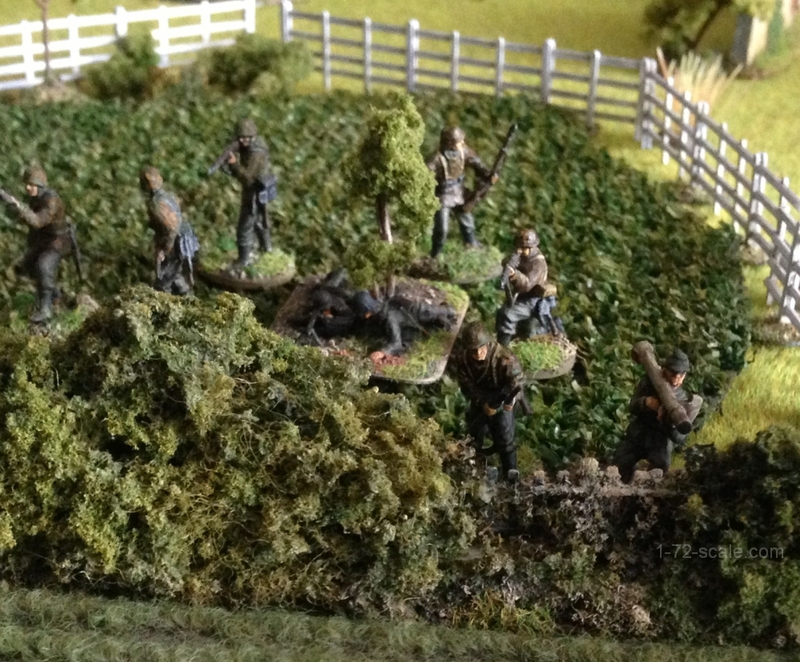 The family members who were with me at the time rolled their eyes, but I'm used to that so hey, no problem. 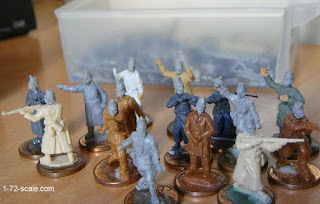 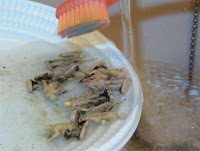 So, miniaturewise, a productive day in Brighton. 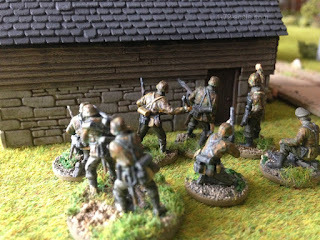 This was followed later in the week by a visit up to Manchester where I got in a game at the very same church hall where I used to wargame as a kid (pictures will follow in one of the next updates), and then a trip to steaming hot Summertime Berlin last week where I found even more interesting little vintage treasures that I'll also post pictures of in a later update. 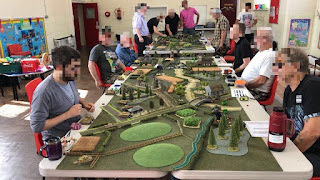 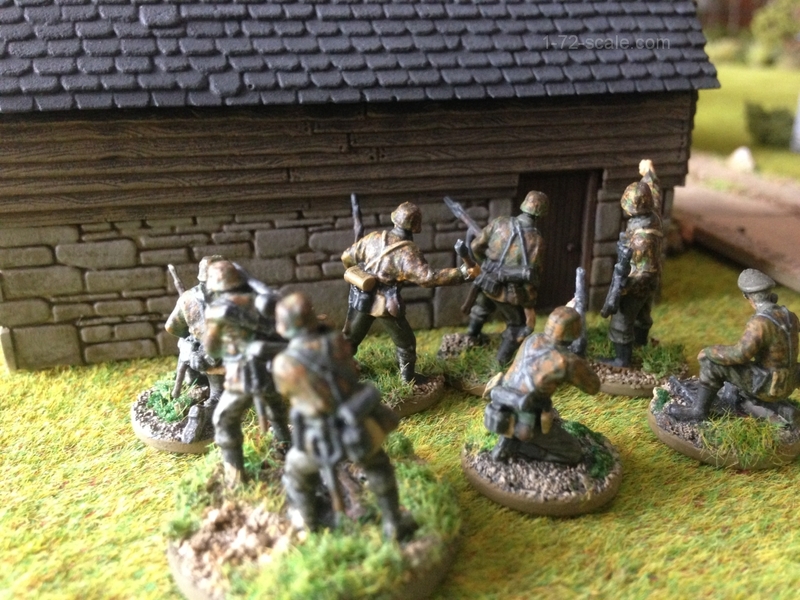 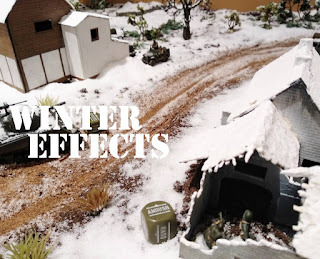 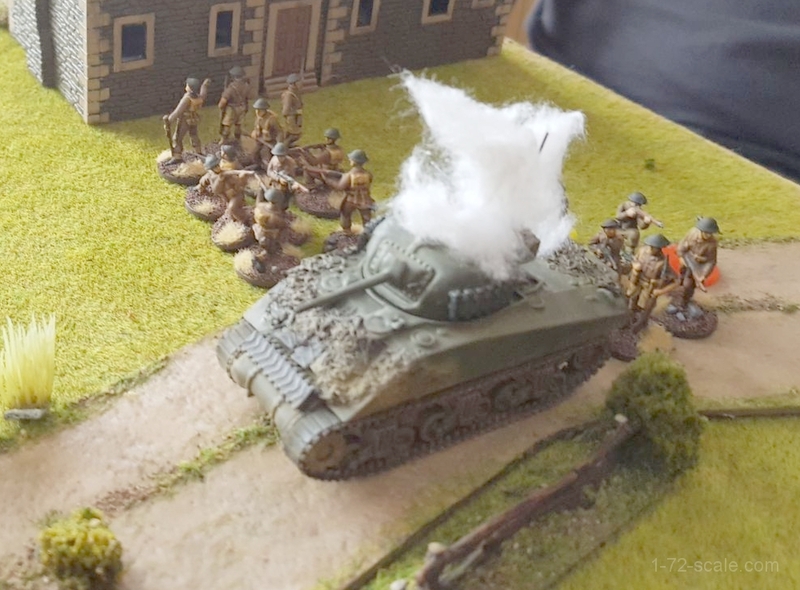 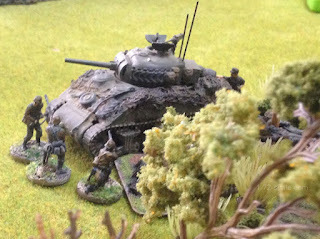 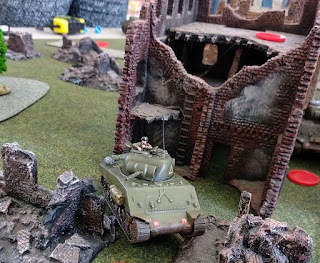 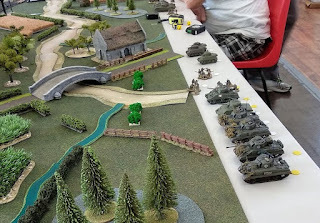 On Saturday afternoon my mate Alejandro invited us to his house and we got together with another of our gaming buddies, Juan, and managed to get in a good skirmish game using the the Disposable Heroes ruleset by Iron Ivan games. 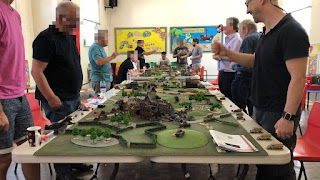 We've only recently got back to using these rules, maybe the last time we gamed regularly with them was about 4 - 5 years ago, so there were a few things we'd forgotten, but we remembered the basic mechanics and with the rulebook at hand we got in a good 1:1 skirmish game (the rules are about 15 years old, and there's a version II recently released which we'll maybe give a try soon). 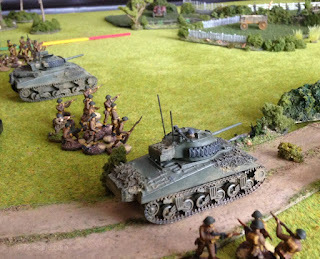 It's set in Normandy 1944, British attacking with numerical superiority against a smaller force of SS Panzergrenadiers. "Montgomery is determined to tidy his lines as part of the drive on Caen. 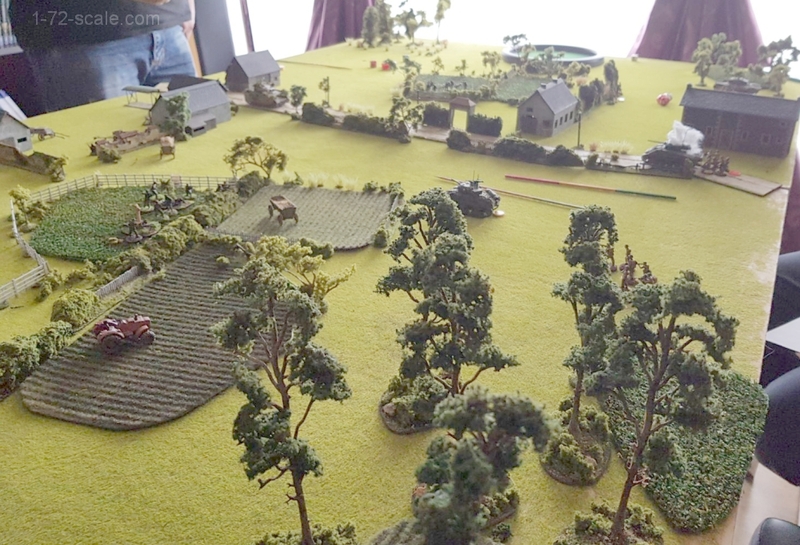 He sends heavy attacks driving around the town to capture vital positions before launching the major operation designed to take Caen itself"
The British have to take the majority of the scenario objectives to win. 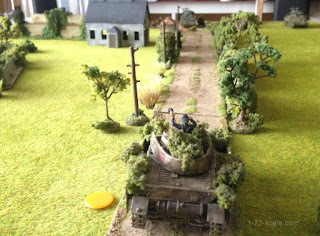 Meanwhile a brave PIAT team (actually a bazooka wielding ancient Matchbox 1-76 Brit) move ahead and spy the Pz IV straddling the road. 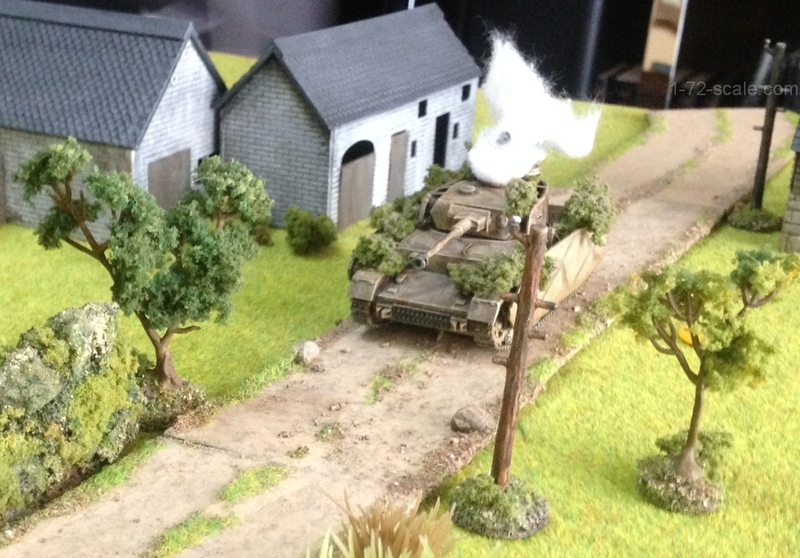 Boom ! 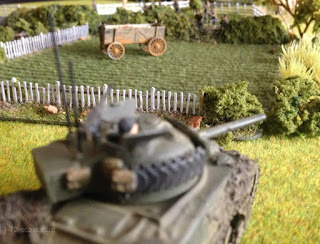 - A lucky shot from the PIAT and the Pz IV goes up in flames. 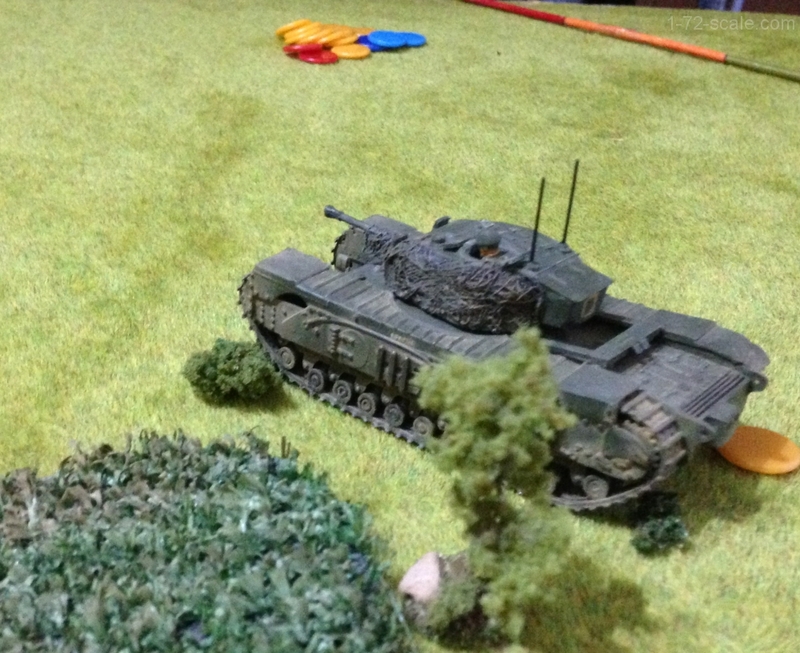 Despite the numerical superiority of the British, it was not easy for the attacker, they (ie : me and Alejandro that is) made the mistake of not going full-out to reach the objectives. We found it was a good balanced scenario and the Germans SS and have a higher morale rating but less units and so less activations, and it was hard to get them pinned. 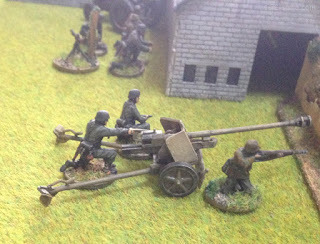 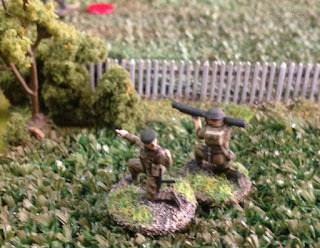 The British had some luck with a 3" mortar and the PIAT, but they only reached one objective, which was really their own fault for dawdling around given the limit on the number of turns. This photo of "Mr. Churchill" was originally posted on the Miniaturezone blog before it was unfortunately hacked and the whole website was wiped clean last year. 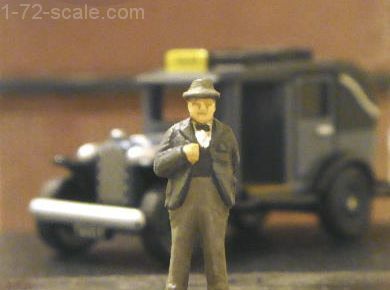 The figure is original vintage from the 1960s, from the old Airfix Civilians set first issued in 1961 and I think he bears more than a passing resemblance to Churchill. 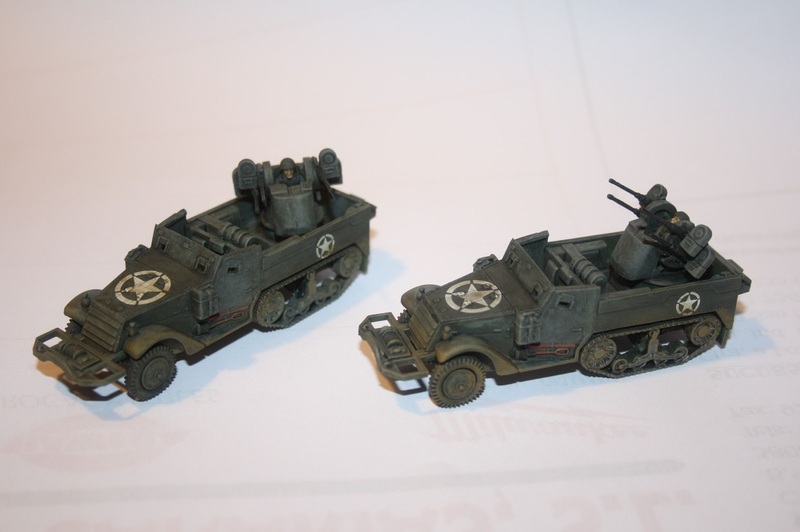 I've had these two Matchbox M-16 quad A/A kits sitting in a box for a good few years. 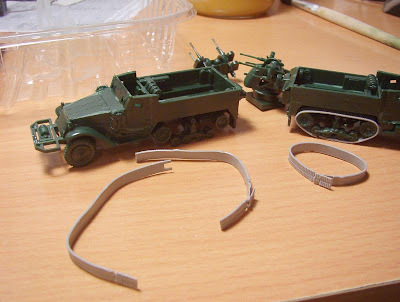 Back when I built them the tracks broke and had planned to fix them but never got around to it. 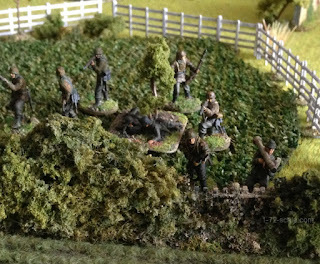 and they've finally been finished today. 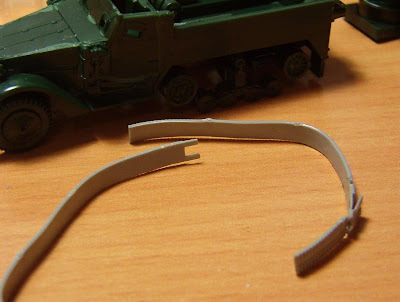 The tracks were replaced with some one-piece fixed track assemblies I got from two old wrecked Airfix Half-Tracks that came in a bag of "pre-owned" kits off ebay. 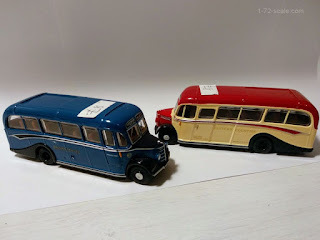 The original decals have long been lost - or used on some other kit - but I had plenty of stars in the decal spares box. So , gven the time it's taken to finish these, it's clear I'm a very slow modeler - in spite of that, I'm pleased the way the old Airfix tracks work on these kits.